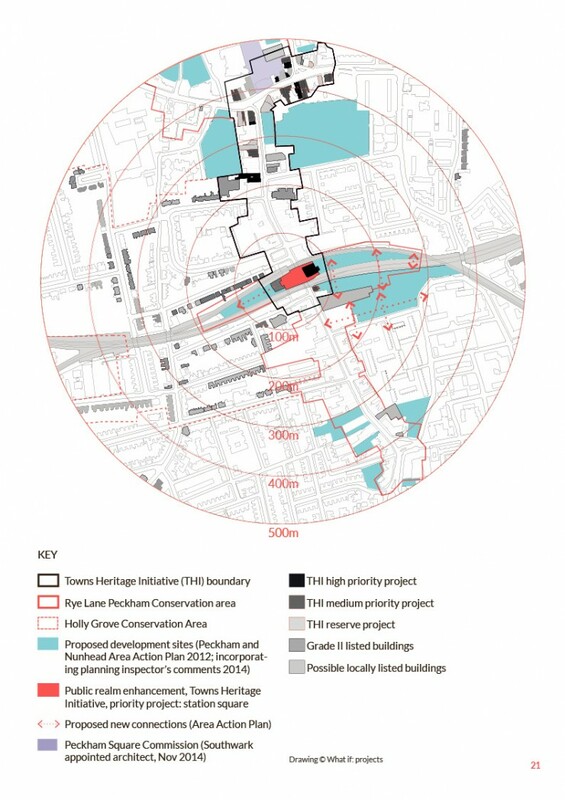 The council has secured £1.675m of funding from the Townscape Heritage Initiative programme that will help deliver building repairs and improve spaces within the conservation areas of Peckham town centre. The money will be made available under the Heritage Lottery Fund’s Townscape Heritage Initiative (THI) — a grants programme set up to provide much-needed investment for communities to improve and regenerate the historic built environment for the benefit of local residents, workers and visitors. The five-year scheme will see 44 of the most important historic buildings on Peckham High Street and Rye Lane shortlisted for a grant to repair damaged facades, reinstate lost historic features and install high-quality traditional windows and shop fronts. Owners will also be encouraged to bring vacant floor space in the upper floors back into use to support the local economy and provide much-needed housing. In addition, the grant will enable the council and its partners in the community to put in place a programme of complementary initiatives centred on the better knowledge and enjoyment of this important historic town centre. It aims to bring wider benefits to the community of Peckham with a unique programme including traditional building skills, improved knowledge of the history of the area and a celebration of its heritage. The project will enable voluntary groups like Peckham Vision and the Peckham Society to help the council deliver among other things an education programme for local schools; a traditional building skills and apprenticeships initiative for young people; information and guidance about the historic town centre; and a ‘Celebrate Peckham’ programme. ‘Co-design’: what’s in a name?